BlurbNevertheless, to enhance the marketing appeal of adolescents, a marketer is required to know potential variables that can be used to reach specific segments of this group. For example, the target adolescent groups for computers and related products might differ in their educational background, income, and social status from those in search of trendy sports products. It is also possible that adolescents from different ethnic backgrounds will have different attitudes towards a marketing stimulus. Ethnicity is one of the potential variables in a multiethnic society that can help in enhancing appeal to a target segment. This Book looks into two parallel but related issues to expand the existing body of knowledge within an ethnic marketing context. First, it explores the process through which adolescents form their attitudes towards ethnically targeted/non- targeted advertisements. 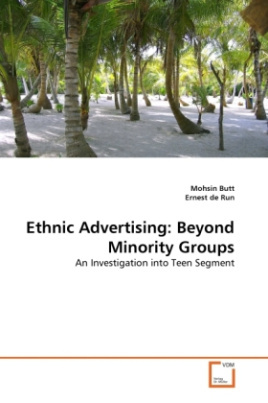 Secondly, this book explores differences in the attitude of adolescents towards advertisements based on ethnicity, ethnic identity strength and majority/minority group status when exposed to targeted/non-targeted advertisements.